The Adult, Workforce, and Continuing Professional Education program area is a unique department in its emphasis on serving the spectrum of both formal and informal adult learning organizations, and its inclusion of administrative, instructional and technology-related leadership within a practitioner preparation program. 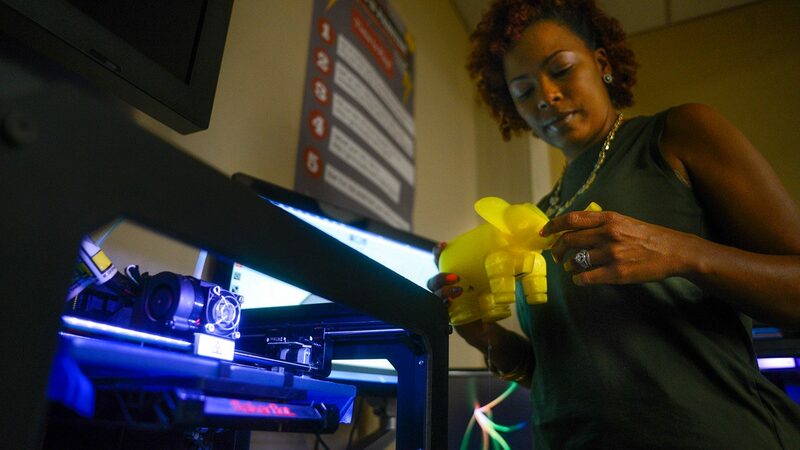 Based on a land-grant, Research Extensive University, the department reflects the tripartite commitment to quality instruction, research scholarship and service outreach. Adopting the School-College-Community Collaboration Model, we prepare students who can work with professionals in different fields to promote wellness and benefits of the clients. In addition to the traditional core on developmental theory and the design and implementation of preventive interventions based on this theory, the program focuses on clinical counseling theory and practice. Another major focus is the commitment to multicultural diversity, which is reflected in the required coursework and in the faculty-student community. This program prepares persons for counseling and advising positions in student service agencies in colleges and universities such as counseling center, advising office, career services, and diversity office. The faculty and students of the program enjoy an excellent relationship with professionals in the University Counseling Center, and the Division of Academic and Student Affairs, and many opportunities for relevant experience are provided through internships in the various agencies. 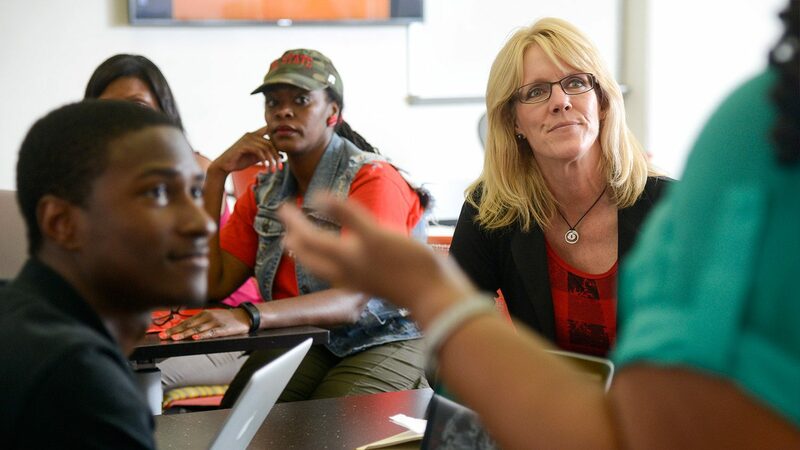 NC State’s program in Educational Leadership for school administrators is designed to improve the quality of K-12 schools by preparing leaders who are dedicated to educational excellence and equity. Graduates are expected to use leadership strategies that will improve student performance in environments that are dynamic, interactive and culturally diverse. 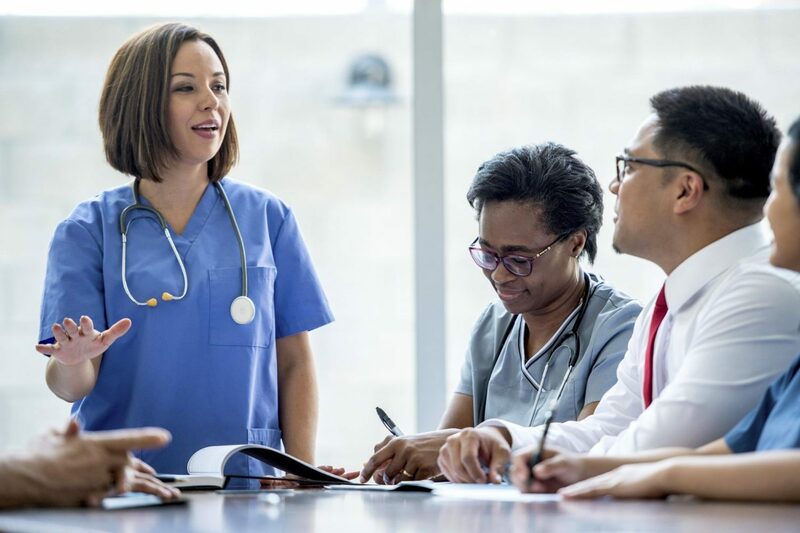 Acquire and apply the knowledge and skills related to adult education and training you need to improve your abilities to become a leading health professions educator. 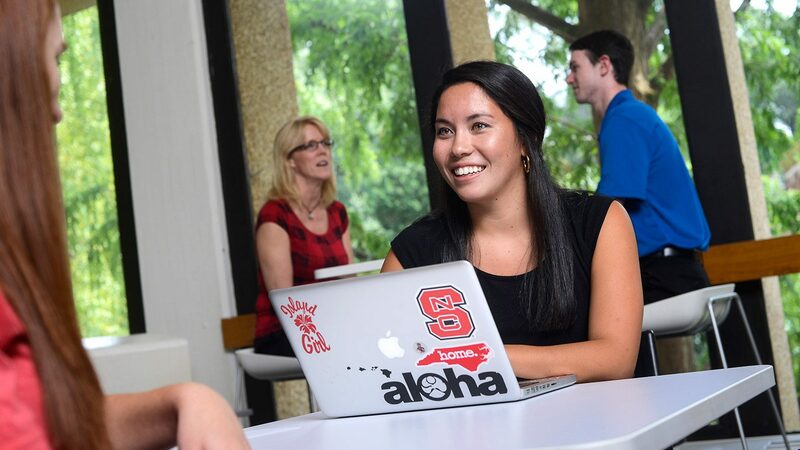 NC State’s Higher Education program provides exceptional opportunities for students interested in higher education administration to explore a core body of knowledge, gain real-world professional experience and pursue advanced study. Program content is informed by relevant theory, scholarly research and best practice in the fields of higher education and student affairs. In addition, the program links theoretical foundations of higher education leadership and administration to practical application of skills. 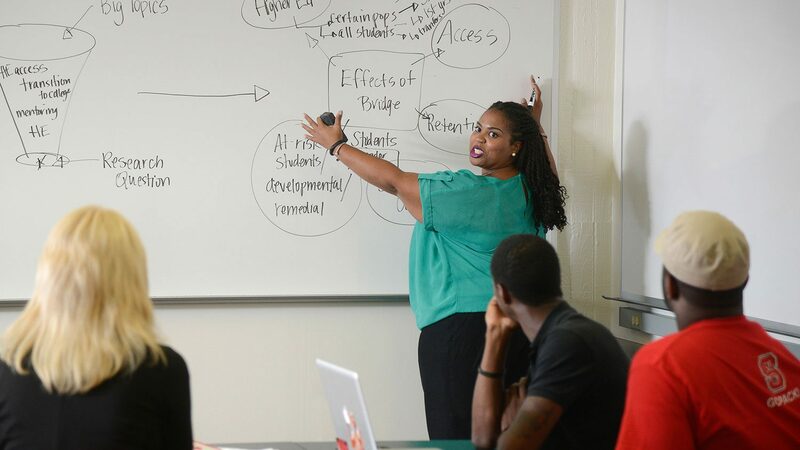 Adopting the School-College-Community Collaboration Model, we prepare students to work as school counselors will demonstrate the professional knowledge, skills, and practices necessary to promote the academic, career, and personal/social development of all K–12 students. Another major focus is our commitment to multicultural diversity, which is reflected in the required coursework and in the faculty-student community. Individuals responsible for employee and workforce development are provided the skills necessary to be successful in various learning and performance environments. 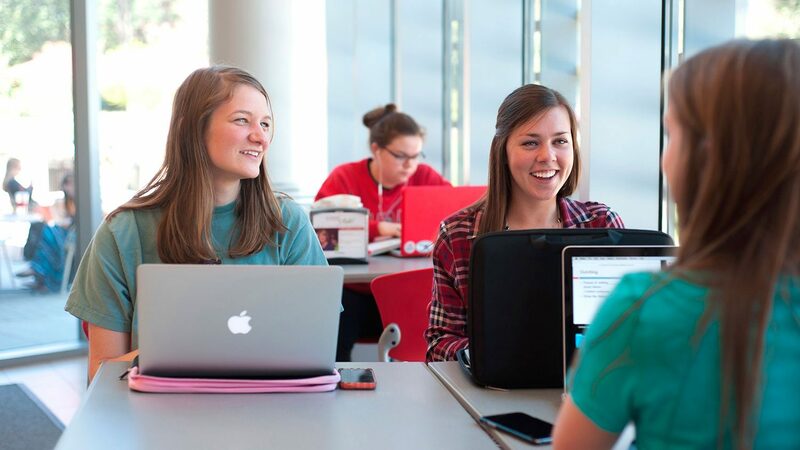 Whether you are interested in instructional design, internal training and development, consulting, e-learning, or other training roles, the Masters of Education (M.Ed.) in Training and Development (T&D) will provide you the skills needed to enter or advance in the field.